This is our "Road Trip Planner" page : with everything you will need to organize your Route 66 road trip. Tips, advice, and many resources for planning your itinerary and preparing for your vacations. 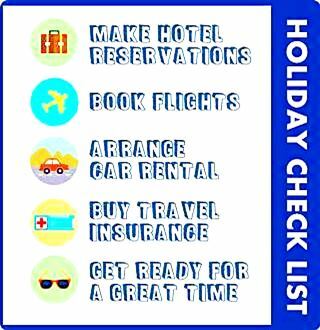 Learn about the Weather, road conditions, best time of the year to travel, read our detailed Itinerary, see maps, information on rental (cars, motorcycles, RVs), and more. Try our Route 66 Itinerary planner tool to calculate distances between key locations, view them on the route 66 trip planner map and plan your trip! "Noun. A set of actions that have been thought of as a way to do or achieve something"
Just like you would do for any other vacation, for your Route 66 Trip plan you will have to gather information and do some research, read tips and suggestions to learn more about the attractions that you will enjoy during your trip. This step-by-step checklist will help you to outline your journey and consider everything that you should take into account when planning your Route 66 trip. You should first learn about your destination: What are the main sights and attractions? What sort of weather will you encounter? 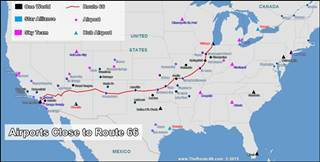 Will you drive the whole Route 66 or part of it?. Check a map, identify the main places to visit (Grand Canyon? Petrified Forest? Drive the original aligment? Stick to the freeway and only stop at the interesting cities?). If you have friends who have done the trip, ask them about their experience both planning their trip and enjoying it, and also, what they would have skipped and what they are sorry they did not visit during their vacations. Write a rough outline of the trip, and a "wish list" of must-see sights. Towns & Cities a link to each and every town along Route 66. You will find all the attractions and sights of that town. Historic Sites a complete list with links to all the motels, diners, bridges, hotels, and other historic sites along Route 66, listed by state. You now have a rough outline of where your trip will start and end; the towns, attractions, landmarks, must-see places and other sights. Now you can write down an initial draft of your Route 66 trip plan. How much time can you spare? Your trip will change depending on the available time you have. But don't be discouraged, a one-week or a one-month trip can be planned so that you can pack as much fun and adventure as possible into them; it all depends on how you Plan your Route 66 road trip. In step one you defined potential starting and ending cities for your road trip, now you can use our Route 66 Road Trip Planner to check their location on the map, and see the distance and driving time between them. Also, start thinking about getting from your home to the starting point and from the end point back home. See our Flights page, with full information on flights and airports. Check out our International Visitors page for useful travel tips. Factor in the time it will take you to get to US 66. A visitor from the UK will need to calculate the flight times from Britain to the U.S., and the connecting flight to the point where you will start your trip. And then, the return flights to get back home. A U.S. road-tripper or a Canadian one may chose to drive instead. Calculate the time you will need to "get to and from Route 66". Driving is fun and road trips are all about the driving experience. However Route 66 is also about the sights, the people and enjoying the trip. Drive too many hours and you will get too tired to have fun. So try not keep driving at less than 6 hours per day. You may also want to take side trips to visit nearby attractions or stick to the side road and avoid the Interstate. These roads may mean a slower pace. It is a road trip so it is pretty obvious that you will be driving. So plan your driving time: From Chicago to Los Angeles it is 2,278 miles (3,665 km). You can drive along the old road in some parts, and in others you will have to drive along the Interstate. So assuming an average speed of 50 mph (80 km⁄h) you could drive the whole road in about 46 hours. But you need to consider the towns and villages (with their speed limits), stopping to take in the scenery, to visit the sights, to eat, fill up with gasoline, walking and relaxing. Check our Route 66 travel planner Tool; it will let you calculate the total distance of your journey between the starting and ending points that you select. It will also give you the total driving time and the Trip duration at the selected driving speed and hours of driving per day, plus a map showing the itinerary. 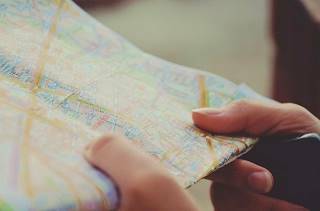 Play around with the planning tool using different starting and ending points for your trip. Your average driving speed. Tip: err on the safe side, calculate a lower average speed (i.e. 40 mph). How many hours you will dedicate to visiting the attractions during each driving day. (i.e. 3 hours). So you will be using 8 hours each day between actual driving and sightseeing. Our Route 66 travel planner Tool lets you do this calculation easily, try it! You can select driving time and speed. So, in this example, you will have 8 hours between your check-out and check-in times. If you leave at 9 AM, you will arrive at 5 PM. You will be driving 5 hours x 40 miles⁄hour= 200 miles per day on average. You also know the distance you will cover each day (in this case 200 mi.) so this will let you reckon where you will stop to spend the night. And let you plan your accomodation for the night. You now have a draft of your itinerary (distance, main sights) and the duration of your trip (including the driving time and the time to go from your home to Route 66 and back. In Step 2, you calculated the total mileage you will be driving (add a +10% to it just in case), so estimate the average mileage per gallon (km⁄l) of your car and calculate how many gallons of gasoline you will need for your trip. Turn this into dollars by checking the current Gasoline and Diesel Fuel prices in the US. This is a key element in your budget, and the cost will depend on the season (high or low) and the type of lodging (will you stop at some icon landmark motel? 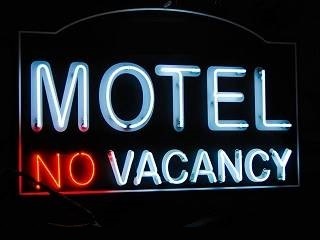 or a regular chain motel?). To calculate your lodging costs take the stopover towns that you identified in Step 2, and the starting or ending point of your journey (in case you spend a night there). Check hotels & motels along Route 66 that are available on the dates that you have identified in Step 2 using some online hotel booking tool. If you plan to drive Route 66 during the high season summer holiday period, reserve your hotel or motel in advance. Some key lodging may be fully booked months in advance, so pinpoint these locations and reserve with plenty of time. There are of some Vintage and Route 66 "must see" hotels with thematic rooms which should be booked well in advance. Demand is high. Read our Tips on Accommodation. Visit our RV Campgrounds page for a State-by-State detail of the RV Campgrounds on Route 66 or close to it. Full information on each RV Park and campground for your Recreational Vehicle or Motorhome. A State by State, Town by Town detail with contact information so that you can check the camp ground's features and book your space now, online. 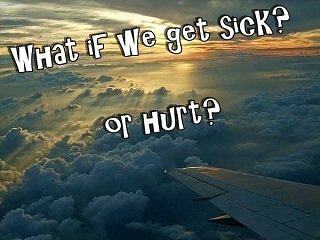 What if you fall ill or suffer an accident? For our international visitors: Are you covered? If you are traveling outside of your home country, your health and accident insurance may not cover you. Your travel insurance should cover cancellations or other travel mishaps. Car, motorcycle or RV rental. If you are an international traveler, you will surely rent a vehicle to do your road trip. Calculate the rental costs and the different options available. For complete information, check out our pages on Renting a Car, Motorcycle rental, or Renting an RV. Calculating the cost of food depends on how you like to eat: Will you eat at restaurants? Fast food or more formal meals? Have both Lunch and Dinner? Buy snacks or stock up at the local supermarket? You will have to pay an admission fee at National Parks, Museums and events... calculate these too. The fee for National Parks is between $25 and $30 per car per park. There are some senior and annual Passes which may interest you. Always set some cash aside for the unexpected, for souvenirs, emergencies and whaterver may tickle your fancy. Review your first draft. Get some more details. Add or remove sights and attractions, perhaps give yourself more time to see things, for shopping or to visit some cultural attraction. Factor in some side trip. Read more, and improve the original rough draft. Review flight options the connecting flights, the car rental pick up and return points. Check other lodging options. Planning a trip on Route 66 is part of the fun, it is about the journey not the destination; enjoy the process! ...a third time when you look back at the warm memories of your trip. Some travelers like to have a very detailed Route 66 trip plan detailing all their stops, the sights they will see and the hotels where they will stay at. This is perhaps a good idea if you have a tight schedule, so that you can optimize your trip. Others, especially those with more time on their hands, prefer an open plan, and are open to letting the road take them to unexpected destinations. A middle-of-the-road approach is to outline a general broad idea of your Route 66 vacation, and then book key accommodations with plenty of time. Leave room for unexpected scenic spots that may surprise you along the way.